All staff in your facility must be involved. Any successful gym sales culture needs to include each and every employee from the owner to the lowest paid person. No one can be exempt. Some gym owners think that the idea of a sales culture is a membership sales department function that doesn’t affect other club departments. However, a true sales culture means that everyone takes responsibility for increasing sales by adopting a member and guest-centered attitude in doing their individual jobs. All staffers must have a real stake in the game when it comes to the performance of the gym. No matter how much your staffers hear about a sales culture in your gym they won’t be committed to taking daily sales-enhancing actions if they don’t feel that they will be rewarded. That’s why incentives and profit participating programs are indispensable to any successful gym sales culture. Let your staffers know what the goals are and what they will receive when the goals are achieved and you will see them put forth their best efforts. The health club must provide its staffers with specific tools and training for the successful transformation to a sales culture. No matter how much buy-in you might get from staffers, if they don’t have the specific tools and training to put your gym sales culture into action, your efforts will be doomed. Examples of the tools they will need include product training sessions, sales training workshops, guest information such as brochures and marketing information, scripts for up-selling and role playing sessions, just to name a few. Tools such as these combined with departmental profit bonuses and frequent sales updates will put a positive charge in your gym workforce. The member is king in a true gym sales culture. One of the primary misnomers concerning a gym sales cultures is that they are built upon increasing sales at any cost to the detriment of long relationship building activities in the gym. But a true gym sales culture is focused upon nurturing members and guests by delivering solutions each and every day. The club sales manager’s most trusted tool is the Lifetime Member Value equation that shows what a good member can return on an investment of time. Every member question should be answered in the context of what impact will it have on the overall income from the member over the typical lifetime of the membership. Cultural change in your gym starts with you. Only a complete commitment from the gym owner or top management will initiate a transformation to a sales culture. Not only should this person be verbally committed to the change, but they must be leading the change. Seeing the gym leaders driving the cultural change will have a big impact on others in the club. Everyone should hear the gym owner pledge to serve the members and provide staffers with the tools and training to institute the sales culture. Increased marketplace competition, shrinking margins, increased regulation and other economic factors make creating a sales culture in every gym a priority for profits and sometimes even survival. By following these basic rules, any health club, fitness center or gym can begin the process of building a successful sales culture. Do you have questions? What haven’t we covered yet that is important to you? If you would like to talk about creating a sales culture for your gym and fitness center, or a related topic, please contact us. Most health clubs already have a membership sales manager or someone who is in charge of membership sales production in some capacity, so why hire a sales coach for the membership department? 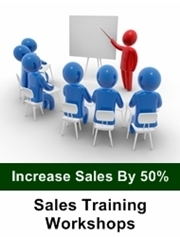 Many sales managers are not trained in the subtleties of effective gym sales training nor have they developed the necessary skills and tools to be effective sales leaders. The most common way to hire a gym sales manager is to simply promote your best sales person in the membership department. This logic suggests this person is the most qualified to lead the membership sales team based on their past membership sales achievements. This type of promotion by necessity is common, but not commonly successful. In the process you may even lose your top membership sales performer when their leadership abilities fail to match their sales ability. The key reason being: Great gym sales people don’t often make great gym sales managers. Why? This is largely due to the behaviors inherent to traditional individual gym salesmanship. At the risk of generalizing, these individuals can be highly competitive by nature and many can often be found running by their own set of rules when comes to making a membership sale. Many sales superstars can be described as egocentric, disorganized, manipulating, persuasive and let’s not forget charming. Often embodying the true entrepreneurial spirit, the sales superstar by nature will just get out there and make things happen. And yes of course, they may even cut a corner or two in the process. This poses an interesting but challenging dilemma for their gym sales managers or club General Manager. To promote such individuals to a gym sales manager is to promote the same individual behaviors. More often than not, these behaviors are challenging to replicate successfully without ramification. The decision to do so will play a huge role in developing your gym sales culture. This is why so many gym sales teams operate by the 80/20 principle, with 80% of the membership sales being generated by 20% of the membership sales team and the rest merely making up the numbers. Usually the successful few are doing things very differently based on what they know or have learned in the role through their own positive and negative experiences in sales or in the gym industry. The normally enthusiastic but struggling majority is left to make up the numbers. Gym sales models that demonstrate this type of unbalanced success are clearly lacking the right leadership, sales support and sales coaching structure in their gym. A gym sales coach’s role in the above scenario would be to coach the membership sales manager and membership sales team members to demonstrate common habitual behaviors and skills across the entire team for optimum membership sales team performance in the health club membership sales department. Now, go close a sale! Jim Thomas is the founder and president of Fitness Management USA Inc., a management consulting, turnaround and brokerage firm specializing in the gym and sports industry. 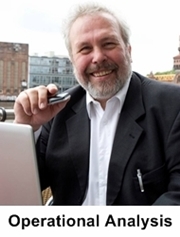 With more than 25 years of experience owning, operating and managing clubs of all sizes, an Outsourced CEO, Thomas lectures and delivers seminars, webinars and workshops across the globe on the practical skills required to successfully to overcome obscurity, improve sales, build teamwork and market fitness programs and products. In addition, his company will buy gym equipment from gyms liquidating or closing. Visit his Web site at: www.fmconsulting.net or www.jimthomasondemand.com. Directors of health clubs and owners in particular, may be gregarious and confident, but they can also be very isolated. There are not many people to whom they can turn for help, often no one in their own organization. Uncertainty about trust and confidentiality, personal competition and the slipperiness of the business ladder often make it hard for an Owner or Director or Manager to turn to a colleague about issues that may put into question their performance or tenure. Perhaps even more common, however, is simply the wish to consult a fresh mind, someone who brings no investment or position of his own, an outsider who is not involved with the organization, its culture or its politics. An independent consultant can reflect ideas, evoke solutions and support the implementation in a way that few insiders could ever do. Club Owners are increasingly recognizing the benefits and opportunities of exploring new avenues in consultations with a coach scheduled on a regular basis, not just for themselves but for their staff also. The same is true for others who find they spend more and more of their time working in isolation on their specific responsibilities. When they do get together, they want their meetings to be as productive as possible, and team facilitation by an independent coach is an excellent way to achieve that. The coach is able to monitor the dynamics of the team and attend to group process while assisting and freeing the team to focus on task. In today’s health club world management has less and less time to act as mentors to the new blood. Employees are left to cope on their own which inevitably slows down their development. Clubs are recognizing the benefits of engaging experienced people from outside the business to act as mentors to key employees on a regular basis. There is no longer the time nor the place for tedious, manual tasks involved in managing your gym; automation is taking its place. Time is too valuable to waste, and with the industry growing at 3% annually, integrating efficiency into your gym operations to keep up with competition is imperative to your success. Even the simplest tasks can be automated to save you time and add a layer of professionalism to your gym. With the advancement of gym management technology, it is now an expectation that processes be completed as quickly and easily as possible. These five tasks can be laborious if done manually, but if you start to automate them, you’ll see these tasks can be a piece of cake! We’ll start with the basics. Checking in members should be one of the simplest tasks of gym management, but lines to the front desk and fitness class rooms can build up quickly. You need to have a fast method of getting people in before that line starts to form, and automated processes can help. One automation tool most gyms employ today is key fobs for check-in. Remember how annoying it was to look up every member or review paper logs? Using key tags, key fobs, fingerprint scans, and pin codes allow your members to simply scan or enter their code and go. It not only keeps your members happy by eliminating the check-in line, but also opens up profit potential for your business. If you no longer need multiple people manning the check-in process, you can have employees take on a larger business role, become a personal trainer, or fill another position that will help to grow your gym. Delinquent payments are a nightmare for gym owners and managers. Organizing payments, getting member dues collected on time, and reminding members of late payments are all tedious tasks. But these tasks are also critical to maintaining a consistent, up-to-date revenue stream. With a payment processing system, you can have automated billing, allowing you to focus your time and energy on improving your member experience and club profits. Send automated alerts to remind members when payments are due to reduce delinquent payments. It is also beneficial to have a payment processing system that gives your members the option to customize their payments to set up payments on a weekly, bi-weekly, or monthly basis. Fully automating this process allows you to enjoy a seamless billing cycle. Running daily, weekly, or monthly reports is more useful than you might think because they provide you with the data you need to support important business decisions. Putting together reports manually is time-consuming and is prone to human error, and unless you have someone who is a whiz at putting together charts and graphs, it is hard to really visualize and understand how your gym is performing. Automation speeds up this process and ensures it is accurate so you can be better informed to make the right business decisions. If you are using gym management software, there are several financial reports you should especially be familiar with, but it is also useful to run reports against the goals you have set to see the progress you are making. This progress can be represented visually on dashboards to give you a clear understanding of your gym’s performance. If you know you have a meeting that happens every day or every week, do not waste time on scheduling it out each individual time. Even though it might only take a minute or two to schedule a meeting, every minute counts. Your time is spread thin as a gym manager, so setting up recurring meetings saves you the time and the hassle of having to do administrative tasks that can easily be automated. Keeping up with customer changes is another tedious administrative task. With different levels of memberships available, customers may switch back and forth until they find a membership plan they are comfortable with. Or they might schedule a variety of classes until they find one they really like. Tracking all of these changes is a huge task involved in managing your gym. However, they can be automated as well. Gym management software automatically tracks these changes for you, so you do not have to worry about whether the membership status you have listed for a particular member is correct. Any changes that are made and any classes that are scheduled are all automatically tracked by your software system. Gym management is filled with highly detail oriented tasks, which makes owning or managing a gym stressful, there’s no doubt about that. But do not do more work than you need to. Automate your tasks with gym management software so you can spend less time on tedious administrative tasks and more time on focusing on providing a positive and exciting experience for your members! Location will likely be the largest cost of owning a gym but will also be the biggest factor in gaining foot traffic and potential customers. Rent mainly depends on where you plan on opening a gym; the cost of opening a gym in downtown Los Angeles will be significantly higher than the cost of opening a gym in the surrounding suburbs. In order to make the right decision, you need to balance out the rental cost with the location in the city. Another item to consider related to location is the demographics you want to target for your gym. If you are considering opening a gym for an audience between the ages of 18 and 34, it might not make sense to open it in the suburbs or rural areas since 26% of a city’s population is made up of this age group compared to 23% for suburbs and 21% for rural areas. 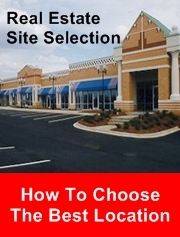 Remember, high traffic areas are best, but if the cost is insurmountable, then it may not be worth it. Your second highest cost is your equipment. Gym equipment can be what differentiates you from other gyms and propels you to the top. However, this doesn’t mean you should blow all of your budget on equipment. For a commercial gym, equipment costs can range between $300,000 and $500,000. For smaller gyms, costs tend to be around $100,000. Take a look at your finances to figure out which category you fit into comfortably. Luckily, in many of these cases, costs are fixed, which means that you only have to buy them once and you should be good to go. You may need to upgrade and maintain some of your equipment in the future, but that will be a far lower cost. When it comes to employees, you have many decisions to make. You need to decide how many workers to staff, how many personal trainers to hire, and what to pay each of them. With all of these decisions, you need to find the right balance between quality of staff and reasonable costs. There are several employee positionsthat could be beneficial to your gym’s success. These positions include a cleaning crew, floor watchers, a front desk to answer the phone as well as questions about the facility, and fitness consultants to sell memberships. Additionally, your trainers need to be licensed, so you can either hire licensed personal trainers or hire non-licensed ones and provide them the ability to obtain a license. There are a few additional costs of owning a gym, but these are largely dependent on you. To open a gym, you need certain permits and licenses, but the cost of these vary on number of employees. Furthermore, you may want to plan ahead by hiring legal help to gain the necessary insurance and avoid any issues. Lastly, gym management software can help you run an organized gym. While the cost of owning a gym may seem high, remember that you will attract members who pay a monthly fee. One thing to be aware of with memberships as it indirectly relates to gym costs, is membership delinquencies. It is a real possibility that some of your members will “forget” to pay their monthly fee, which means less revenue for you. New gym owners do not always recognize membership delinquencies as a possibility, so to avoid trouble down the road, you may want to include this category when tallying profit. Gym management software and payment processing can help mitigate these risks. Fitness and health clubs have grown to be a more than a $30-billion-a-year industry, according to research site Statista, with more than 36,000 clubs across the U.S. boasting more than 60 million members. Top players in the health club industry reported steady growth in 2017 and many are expanding through new development or acquisitions. Life Time, LA Fitness, Planet Fitness, 24 Hour Fitness, and Equinox Holdings (with its brands Equinox, SoulCycle, Blink Fitness and Pure Yoga) all had growth years, according to the 2018 Club Industry Top 100 Clubs list. The current environment appears to offer a perfect storm for the fitness center sector as consumers become more health-conscious and the economy continues to improve. Fitness concepts are also more internet-resistant than traditional retailers—you can’t work out online, though it’s now possible to access online fitness classes from home—and there are plenty of vacant big boxes out there for fitness concepts looking to expand. Landlords are courting gyms to replace anchor tenants that have left and help drive shopper traffic. “It’s another body, another person in your mall that may see something that either they buy that day or say, ‘I need to come back next time and make a point to get my nails down or buy a shirt.’ It’s a gravity pull to the property,” he adds. The fitness sector was one of the first to start expanding aggressively after the recession, Burns says, and one of the few that has maintained that growth at the rate it’s experiencing. Since the recovery began, Burns’ retail team has leased nearly 870,000 sq. ft. in fitness center deals in Southern Calif.
During the second quarter of 2018, Planet Fitness—one of the biggest U.S. fitness franchisors and operators—opened 44 new franchise locations, and now boasts 1,608 locations across its portfolio. Company officials say many of its new locations will be in retail centers. The company is working to “build upon our current momentum as brick-and-mortar retail continues to be under pressure from online businesses, and landlords are increasingly looking to Planet Fitness to drive traffic in their centers,” said Planet Fitness CEO Christopher Rondeau in the company’s second-quarter earnings call. Planet Fitness’ membership is now 12.1 million, up from about 10.4 million a year ago. Same-store sales increased 10.2 percent on top of a 9.0 percent gain a year ago. Meanwhile, 24 Hour Fitness and LA Fitness also ranked in the top 20 of “tenants that have leased the largest amount of square footage by new leases signed,” Myers says. 24 Hour Fitness ended 2017 with 433 clubs in 13 states and LA Fitness had 705 locations across the U.S. and Canada. Five projects have been announced to date, with more to come, says Chris Pine, senior vice president of big-box leasing/development retail at Brookfield Properties. For example, at Brookfield-owned Oakbrook Center in Chicago, a three-story Life Time with a rooftop pool is being developed on the site of a former Sears Auto Center. And next month, Life Time is opening a massive fitness complex at Quail Springs Mall in Oklahoma City where a Macy’s was razed. Brookfield is looking to add fitness centers, as well as grocers, to its malls’ line-ups, Pine says, because they can bring in customers multiple times a week. “With them driving 1,500 to 1,800 visits a day, we see the opportunity for real benefits in sharing of customers between their property and ours,” he says. He also notes it’s not about “trying to save” a property. Brookfield has deals with other fitness concepts, including Planet Fitness, Soul Cycle , LA Fitness and 24 Hour Fitness. In addition to the Brookfield clubs, Life Time has plans for or has opened clubs at malls owned by Macerich, Kimco Realty, The Taubman Co. and Simon Property Group. Several are on sites of now-closed department stores. Another example of Life Time’s expansion strategy is Simon-owned Southdale Center in Edina, Minn., where Life Time is building a three-level, 120,000-sq.-ft. club that will occupy a redeveloped space where a J.C. Penney once sat. For example, Orange Theory Fitness has expanded to nearly 1,000 studios worldwide and has more than 500 studios in the development pipeline. CycleBar has more than 180 studios slated to open throughout 2018. Club Pilates has over 300 studios. Other expanding concepts include Tough Mudder Bootcamp, TITLE Boxing Club, 9Round Fitness, SoulCycle and Row House. “So, one of the ways fitness centers may be able to mitigate the impact of competition or oversaturation is by leasing space in these really high-quality malls,” he says. CoStar defines class-A malls as having about 115,000 office workers in a three-mile radius, whereas class-B malls have about 40,000. Also, class-A malls have an average of about 70,000 households in a three-mile radius, while class-B malls have an average of just over 30,000 households. “In a class-A mall or urban environment, rents are likely to be higher on a per-square-foot basis, but at the same time, you’re also positioning yourself as a tenant to be able to capture a significantly greater number of potential members or customers,” notes Myers. Welcome to the premier resource for all gym brokerage information and services across the USA. I hope you enjoy your visit and explore everything our gym brokerage website has to offer, including gym and fitness center listings, information for gym buyers and sellers and more. Save THOUSANDS when you sell! Same GFS listing, Same Service, Same Marketing! There are many reasons why you might want to sell your gym. Maybe you’re moving across the country and it’s just not going to be feasible for you to run your gym from there. Or maybe you’ve made enough money and decided to retire. Or maybe you found that your other fitness businesses, such as yoga or dance classes, were doing better in that area. So you’ve decided to stick to those and sell off the gym. Whatever the reason, it’s necessary to present your gym in the best way possible so that potential buyers will fall in love with it. And a gym broker can help you to do this. If you want your gym to fetch a fair price (or even a price that’s above market value) you’re going to have to maintain it well. If you’ve always maintained your gym in good condition, you won’t have much to do at this point. But if you haven’t, it’s a good idea to go over your gym and check out the condition of all your equipment. Is it in good shape and functioning smoothly? Do your treadmills or elliptical trainers need to be repaired? Are your weight machines in good shape? Are your free weights gleaming in a row or are they rusted, thus posing a health hazard? 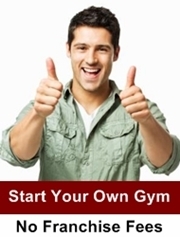 You may not want to bother with all these little things, given that you are selling your gym. But taking care of all these problems now will make sure that you get a good price for your gym. When the potential gym owner walks in, they want to see a gym in good working condition, not a fixer-upper. In addition to functioning equipment, you also need to make sure that your gym looks overall presentable when a potential owner walks in. It doesn’t hurt to give it a coat of paint, get the windows cleaned and fix any leaks that might have occurred over the years. General cleanliness is also important. It’s a good idea to get professional cleaners to come in and thoroughly clean your gym. Throw out gym mats that are ten years old and get new ones. Make sure your carpet or flooring are clean. And most importantly, make sure your gym is well-lit and has an active feel. This will help you make that sale. Contact us for more great tips for selling your gym. We buy gym and fitness equipment from all over the country. We buy gym and fitness equipment from all over the country. We have the experience to buyback your entire gym or fitness center and have all the equipment removed by our professional team. We have purchased hundreds of gyms for over 25 years and have become the leading industry equipment purchaser all over the USA. If you have a gym that is trading in equipment, closing, liquidating assets or have some extra gym equipment to sell please contact us at fmconsulting.net/contact or text 214-629-7223. Have you made the decision to sell your gym. This is a critical moment in your business cycle and we want to help you receive top offers. We understand that the sale is more than a transfer of assets and we will help you maximize the profits from your exit. We have over 30 Years of experience in the health & wellness industry and we know what buyers want. Contact us today! 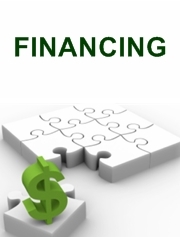 fmconsulting.net/contact or 800-929-2898.